REMEMBER last summer when we all walked around scantily-clad in the sweltering sun just desperate for a refreshing dip in the pool or at least an icy treat? Those times are almost upon us, and for those who without access to a pool, Savannah Square Pops has got you covered. 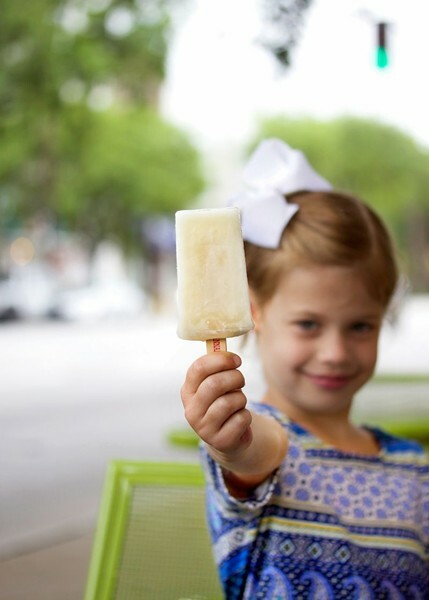 Savannah Square Pops is Savannah’s original Ice Pop Shop, where owners Judd Wiggins and Mark Taylor hand craft popsicles in small batches daily. All it took was a few visits to Savannah to convince Wiggins and Taylor to leave Birmingham, Alabama, change careers and open the shop in September 2016. 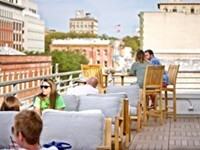 “Savannah’s unique style and reputation for great food was all we needed to launch our dream,” Wiggins declares. Neighborhood regulars and visitors alike frequent their cheerful shop, located on MLK Blvd., all trekking off the beaten path to have a lick. Savannah Square Pops even garnered national news, when celebrity chef Duff Goldman visited the shop in 2017, he featured it on USA Today as his “Top-10 Sweet Spots” in the nation. To understand why Savannah Square Pops are so dang delicious, you need to know how they’re made. The popsicles are handmade in batches of 52 on location. While the process may be time consuming, “the quality speaks for itself,” Wiggins admits. “We don’t use artificial flavors or colors...all of our popsicles begin with preparing the fruit, mixing in raw cane sugar, and either cream and milk or water, depending on the recipe,” Wiggins explains. Out of 22 flavors, all named after a historical Savannah square —hence the company name — half are cream based. The remaining flavors are vegan friendly and most are gluten-free. With sugar-free options in the near future, these popsicles appeal to all palates and preferences. If you’re a bandwagon foodie, the hottest flavors are Key Lime Pie, Salted Caramel, Strawberry Balsamic, and Cookies & Cream. The Key Lime Pie pop is made with fresh squeezed lime juice, buttermilk for some tang, cream cheese and graham cracker crust. Salted Caramel boasts salted caramel gelato, lacquered in rich dark chocolate and rolled in salty pretzel pieces. Strawberry Balsamic emulates that taste of a perfectly ripened strawberry, using only the freshest berries, raw cane sugar, sea salt and of course, balsamic vinegar. Cookies & Cream highlights one of America’s favorite cookies, the Oreo, with heavy cream, milk and sea salt. 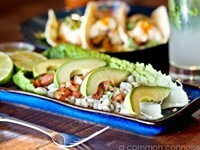 Want to learn how to make them? Savannah Square Pops hosts birthday parties for all ages, teaching the popsicle making process. There is no better way to experience Savannah Square Pops than to try a few and bring some more home. You can find the pops in freezers and locations all over Savannah including Ghost Coast Distillery, The Grove, The Fox & Fig, Savannah Rae’s Gourmet Popcorn, Foxy Loxy and more. Have a panting pup? Their newest products, the “Pawcrafted Frozen Treats for Dogs,” are made from the freshest pet friendly ingredients like yogurt, pumpkin, and peanut butter. These doggie delights are currently available at the MLK shop and Woof Gang Bakery locations. Additionally, Wiggins and Taylor have launched a food truck to sell their popsicles at events around the low country. They are also working with a franchisee on a new popsicle truck so they can visit Savannah neighborhoods. “Like an ice cream truck, just no artificial colors or flavors — a treat without all the tricks,” states Wiggins. Big things are happening in May for the Savannah Square Pops. In local news, their cart will be set up in Johnson Square each Friday night. In national news, the U.S. Small Business Administrator Linda McMahon has been visiting small businesses on a four-state bus trip across the Southeast, highlighting innovators that keep our communities flourishing. On May 1, McMahon is set to visit Savannah, and the Savannah Square Pops owners will be representatives on a panel discussion with her. “If you are going to make a living selling popsicles, you had better make sure that they are better than any other pops out there. We invite you to try our pops against any other on the market... we have,” Wiggins insists. 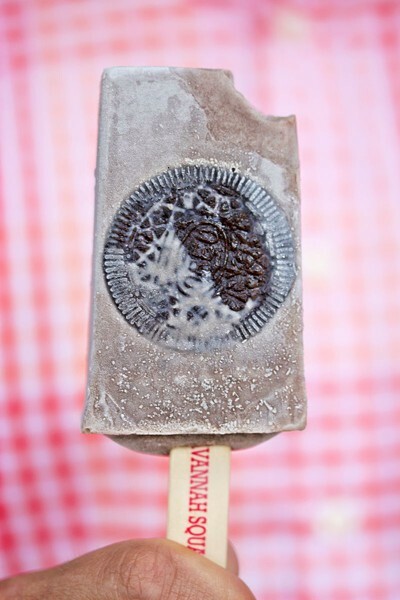 So as the Savannah heat sets in, remember to pop it like it’s hot with Savannah Square Pops.